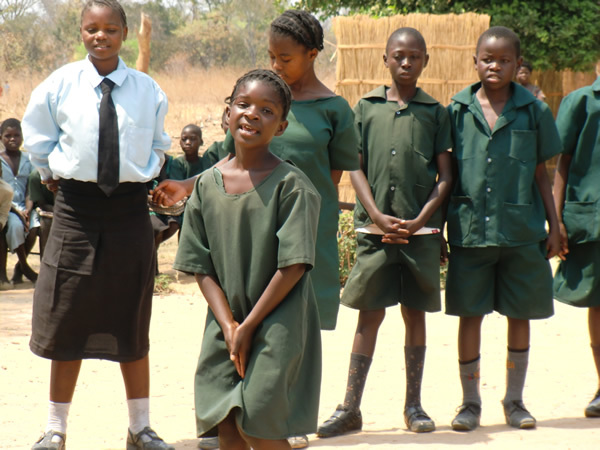 This project was part of the Water for Kids education programme. 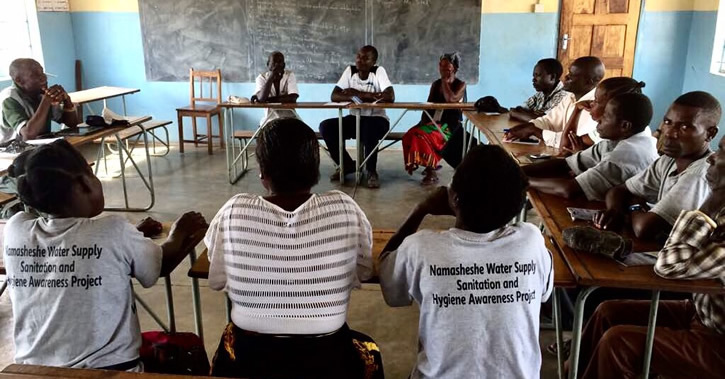 It was handed over in May 2017 to Community representatives including Water Committee members, Hygiene Promoters and Pump Menders, all trained by Water for Kids. 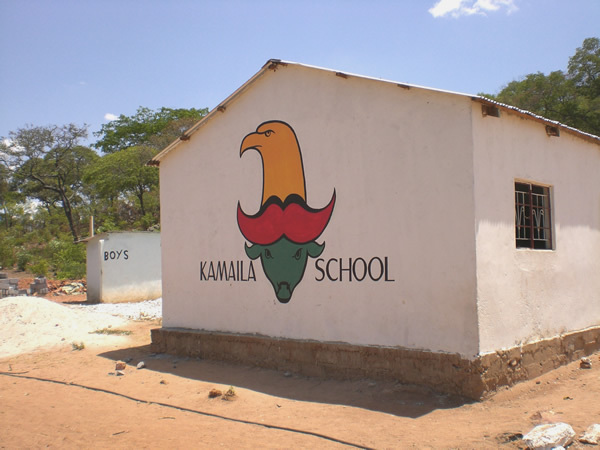 A new project at Namasheshe, which the trustees visited, included a new initiative. The Hygiene Promoters, who were recently trained there, have built a demo site showing the facilities which they hope all households will build. These are latrines (from a simple one to one which will last a few years, are easy to clean and gives privacy), tip-taps, refuse pits, bath shelter and dish rack. This demo site has really helped give the village a sense of ownership of the project. 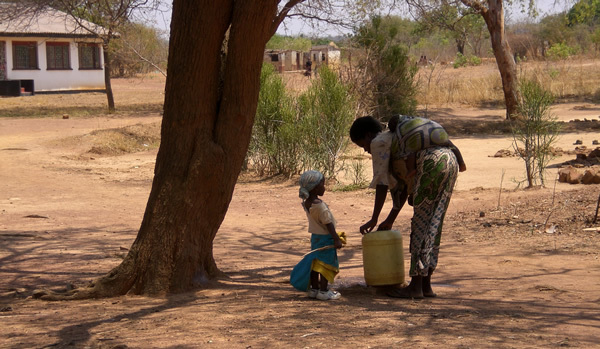 During the visit the trustees saw how providing water can help promote development and reduce poverty. New and better houses and shops have been built using the water and markets are expanding with more locally grown fresh produce and other items for sale. 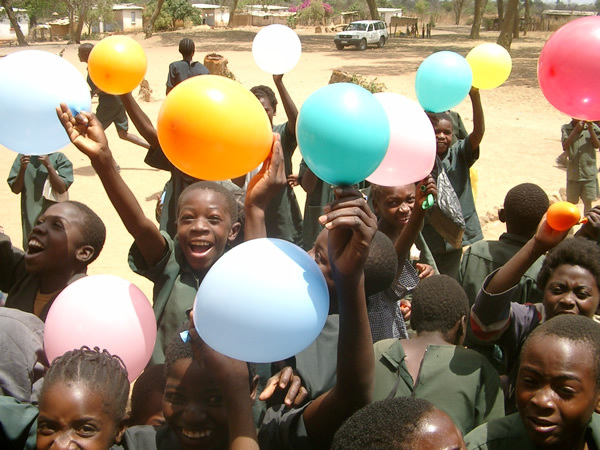 Thanks to efforts of our two fantastic project managers in Zambia and our supporters in the UK continuing to donate generously, Water for Kids will continue its work well into the future; saving many lives in the process.